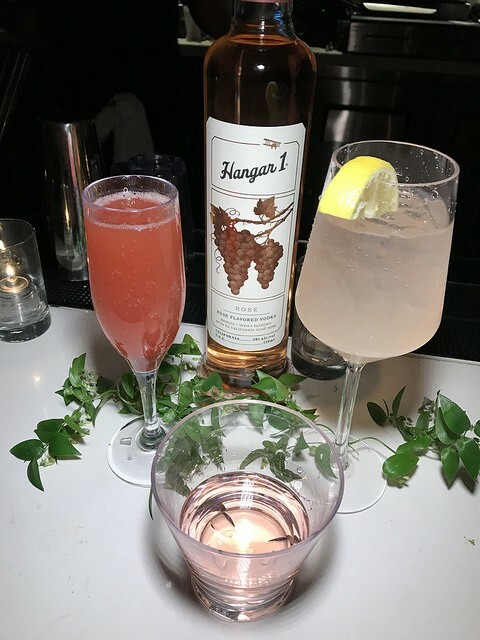 I’m kicking off Spirits Week at The Minty with Hangar 1’s new Rose Vodka which I recently tasted at Skybar at the Mondrian hotel. Every day this week, I’m featuring new spirits I’ve tasted the last few months. I’ve enjoyed learning about all these new spirits and I hope you find them as fun as well. First, I tasted the rose vodka on its own. 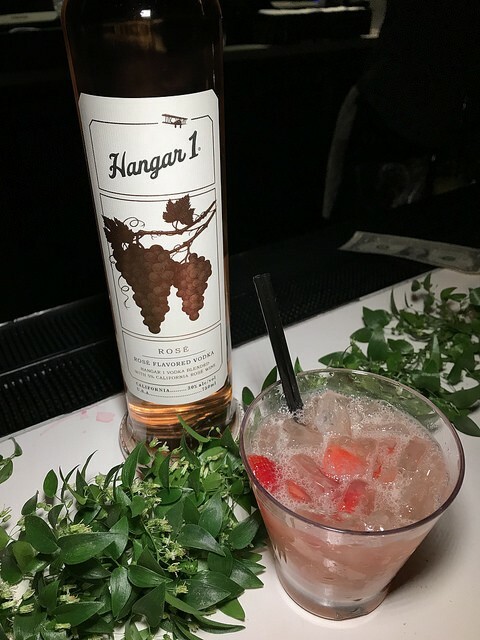 I talked with Caley Shoemaker, Head Distiller of Hangar 1, about how she made the rose wine and then she added it to the vodka. There is 5% of the wine in the vodka distillate. Some simple ideas to mix this with if you don’t have it with just soda water? Try it in lemonade form or add some raspberry puree for a party drink. Or just a night in with friends. I immediately zeroed in on the PYT which had both creme de cacao and violet liqueur. I suspect both are from Tempus Fugit. 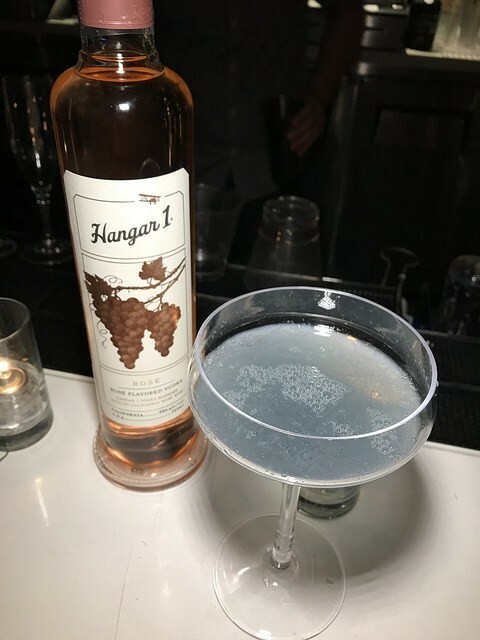 It’s a loose spin on an Aviation. Or you could mix your rose vodka with ginger and strawberry to keep the pink theme. I see rose vodka doing very well in Hollywood, Las Vegas and Miami. It’ll be a great summer and pool side spirit. And brunch, of course.